Shelta’s products are perfect for people living in small spaces. Whenever we go outdoors, we need shelter for certain areas, whether that be from sun, wind or rain. However, building structures to create shade cover can be costly, time-consuming and subject to approvals. Shelta can solve this with its massive range of outdoor umbrellas, which cater for small and large spaces alike, as well as courtyards. Shelta is known for its stylish, comfortable and durable products, which have been providing great quality and value for money since 1911. Shelta’s Samarkand 280 Square Centre-post Umbrella is the ideal solution. If you want shade in the summer, and protection from rain in the winter, you might want to consider taking a look at this pristine umbrella design. Made from plantation grown Saligna hardwood, this umbrella’s natural beauty is enhanced by a protective clear lacquer. The Terrazzo Delux Collection features clean and durable stainless steel hardware, including rib ends, spiders, lower pole sleeves and pulley systems. There is a wide range of colours in tough Sunbrella acrylic canvas. It is perhaps no surprise that umbrellas are Shelta’s area of expertise, as the company has been going since 1911. Three brothers - William, Herbert and Alfred House - along with friend Ebenezer Phillips, bought out the remains of a fire ravaged business, Excelsior Umbrellas. The name was changed and ‘Shelta’ opened for business in January 1911, in Kent Street, Sydney. It’s been a success story ever since. 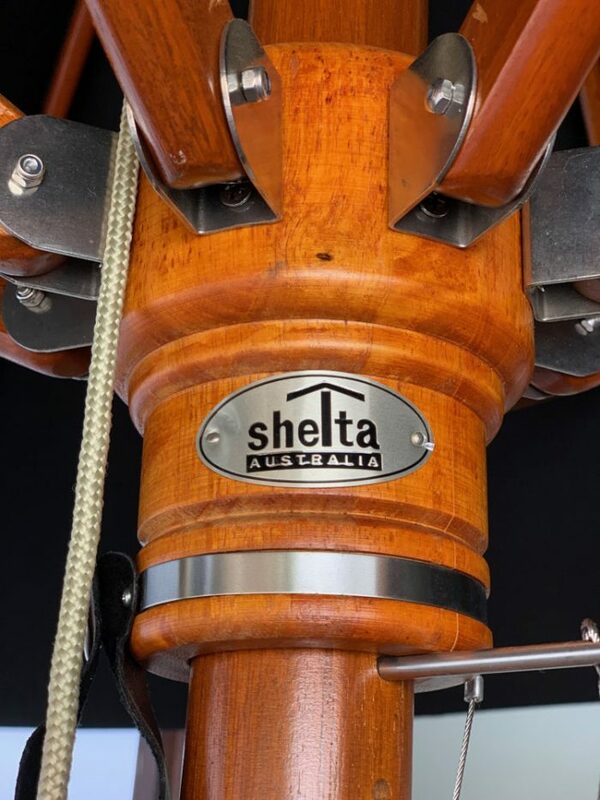 Despite this success in outdoor furniture, Shelta has remembered its roots and its original heritage businesses – Rain and Outdoor umbrellas. There are many new items for the 2019 season, including new chairs, tables and benches, just to name a few. Visit Shelta to find out more.